I’ve resolved to start eating breakfast, my usual two cups of coffee is no longer cutting it. 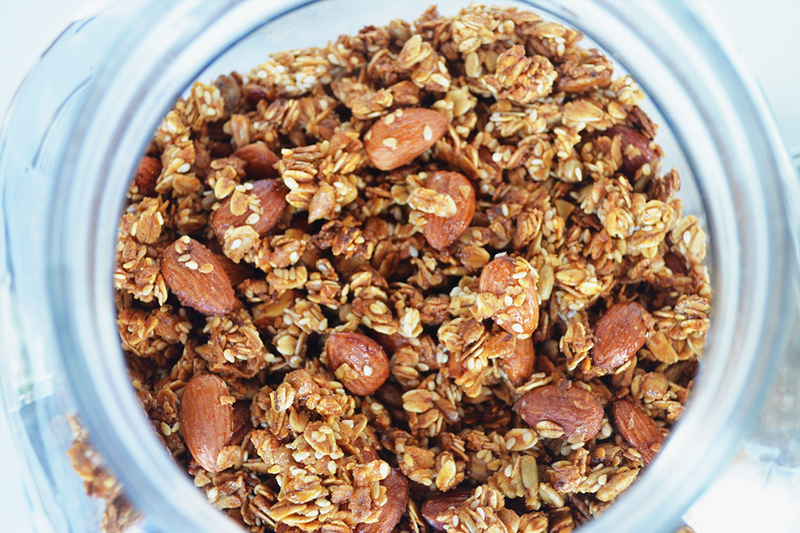 I’m loving this granola as a quick and healthy way to fill up at breakfast time. 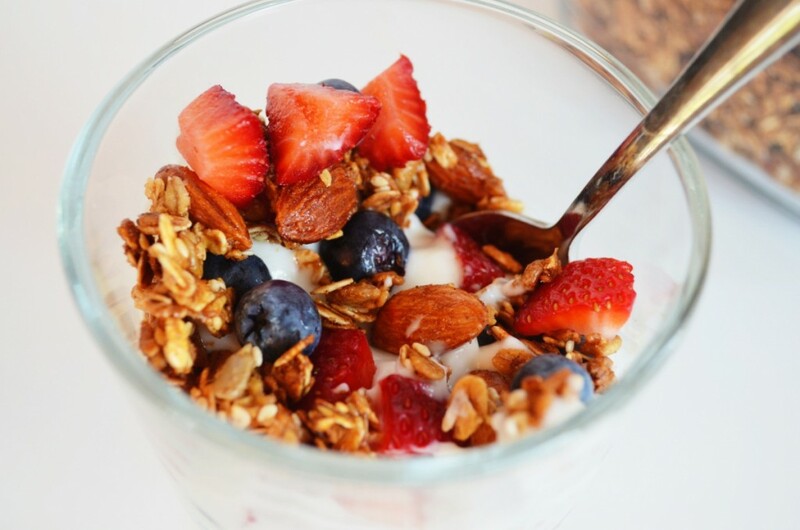 Sprinkle a scoop over greek yogurt, add some berries and you’ll be doing The Dance of Joy all morning long. 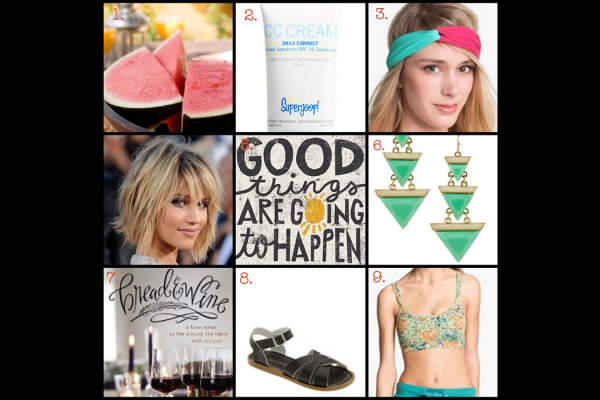 HEY, HEY, HEY! 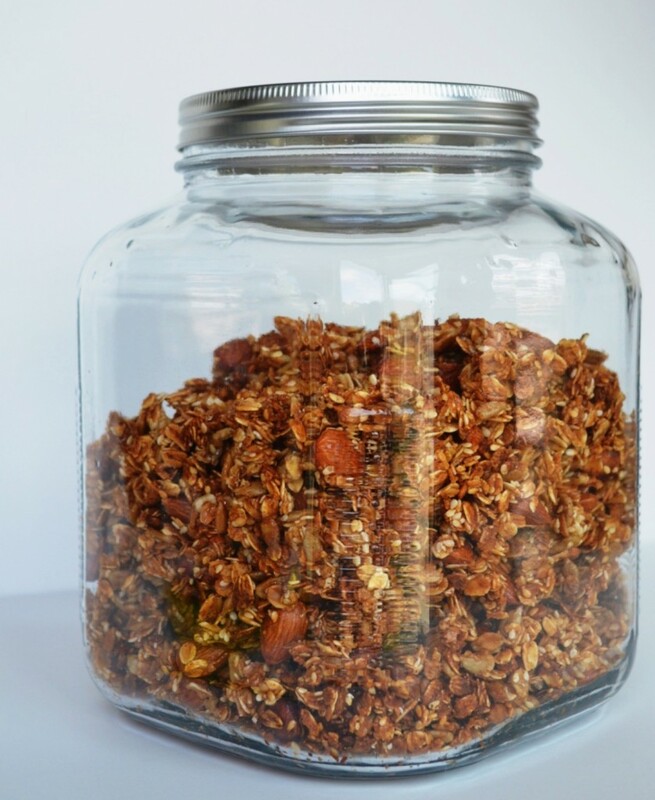 Is it difficult to make your own granola? DON’T BE RIDICULOUS! Its a breeze to make. 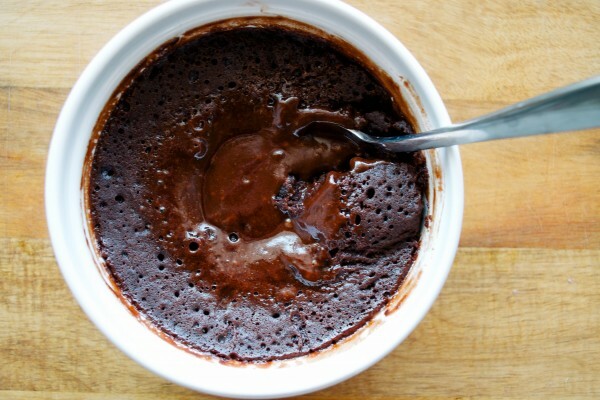 Just mix all the ingredients in a bowl, divide mixture on two baking sheets and pop them in a 325 oven for 40 minutes. On a completely unrelated note, Nick-at-Nite is now airing reruns of Perfect Strangers! Pretty exciting stuff, I know. Am I the only one who thought Balki was from the Island of Meatballs?? Probably. 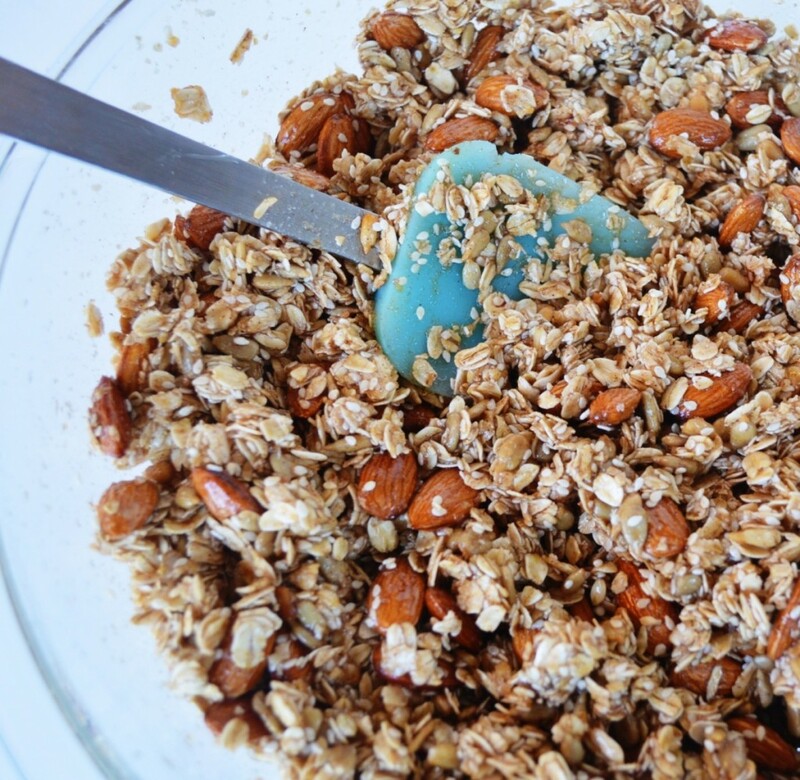 Mix everything except the dried fruit together in a large mixing bowl. 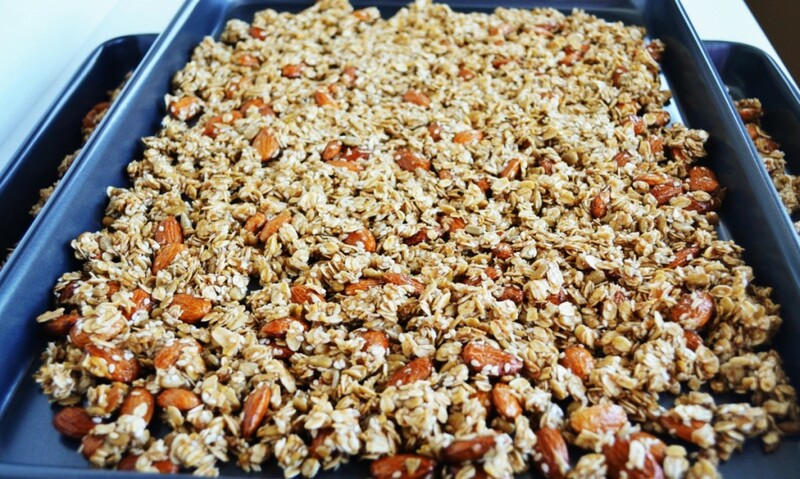 Spread mixture out on two large baking sheets and bake in a 325 oven, turning over about halfway through baking and re-distributing the granola evenly during the baking process. The object is to get it evenly golden, this should take 40 minutes to an hour. After cooled, add dried fruit. 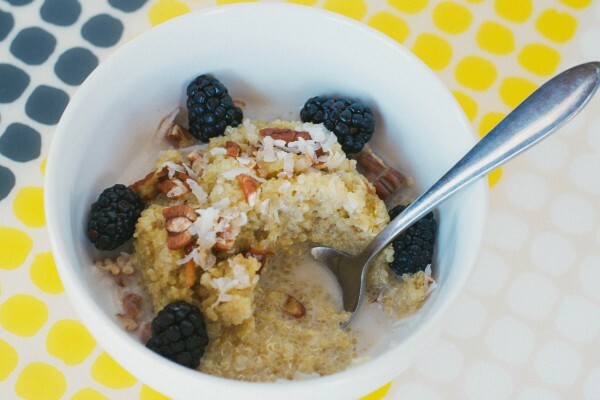 My favorite add-ins are raisins or dried pineapple and shredded coconut (add coconut the last 5 minutes of baking). Store in an airtight container for up to 2 weeks. New Year! New Site! New Friends!